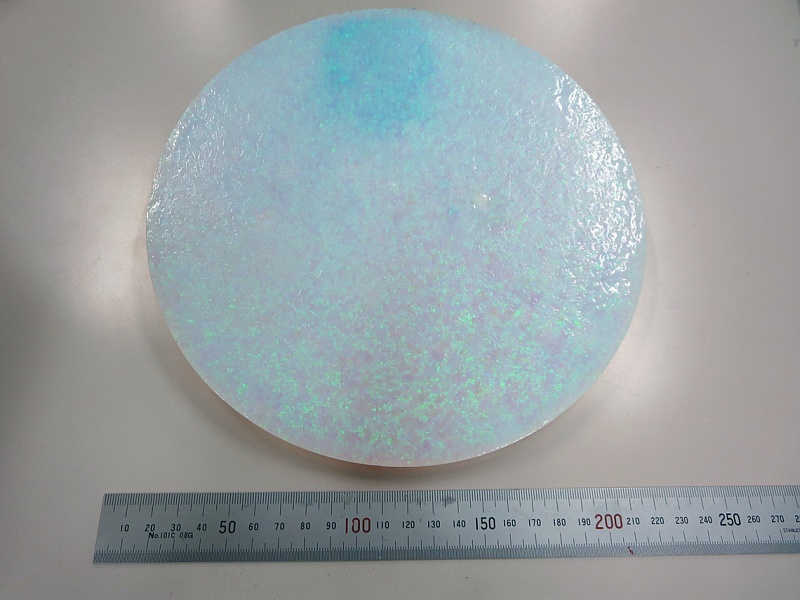 Our advanced technology allows us to prepare highly monodisperse spherical silica particles with an extremely narrow size distribution and sizes comparable to the wavelength of visible light. 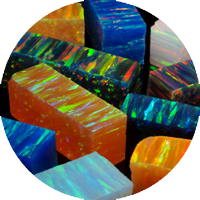 These particles are an essential prerequisite in order to obtain a synthetic opal with brillant colors. 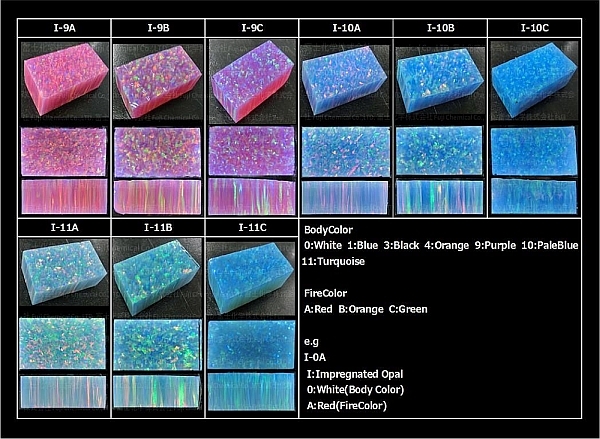 In this step colloidal crystals are formed by gravitational sedimentation of monodisperse silica particles. 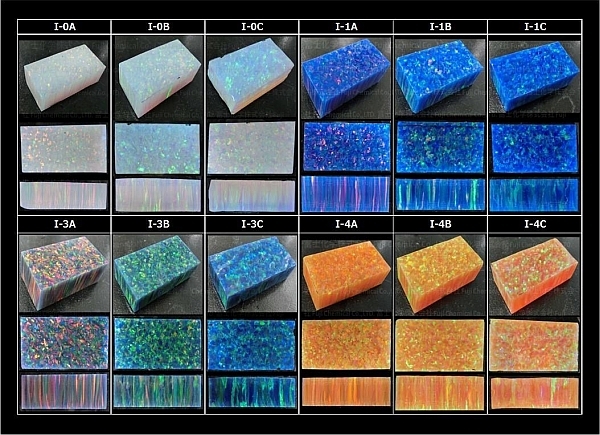 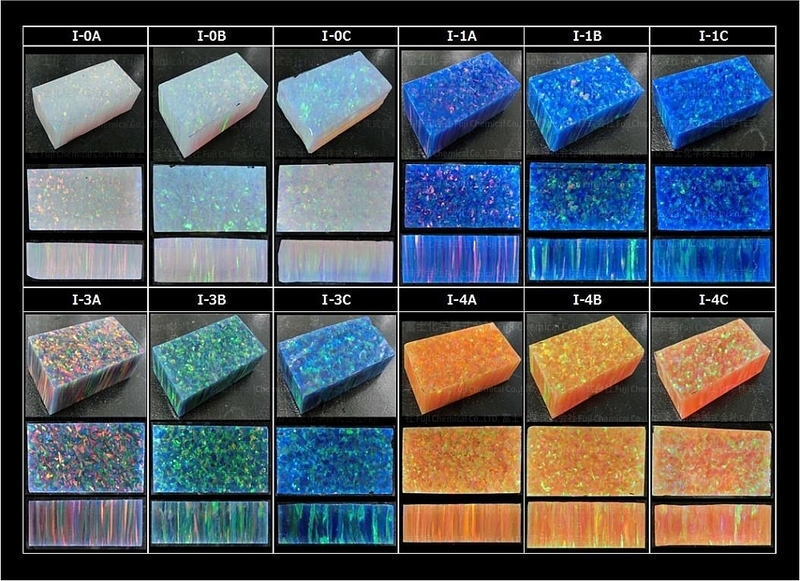 This process, also known as heterogeneous crystallization, leads to a close packed arrangement of silica particles with angle dependent bragg diffraction colors, the well-known "play-of-color" or "fire" of synthetic opals. 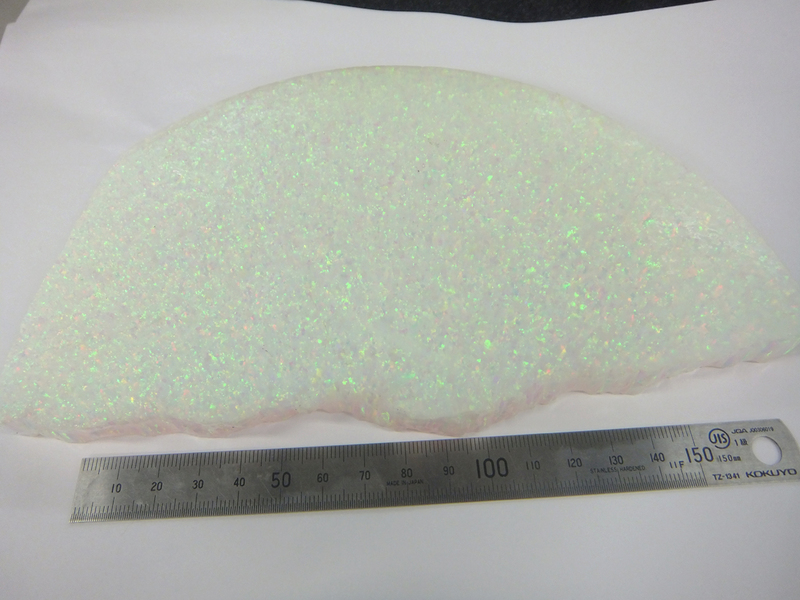 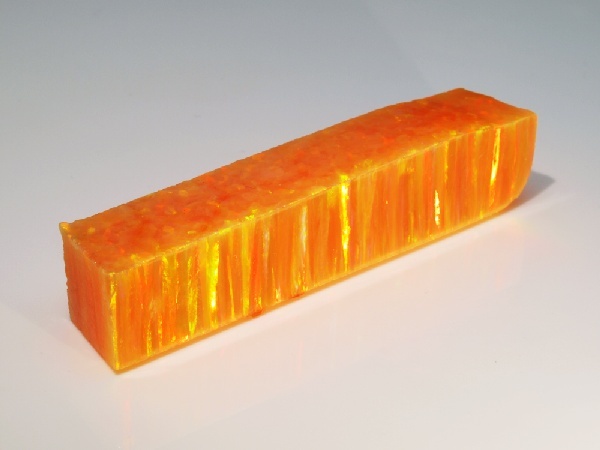 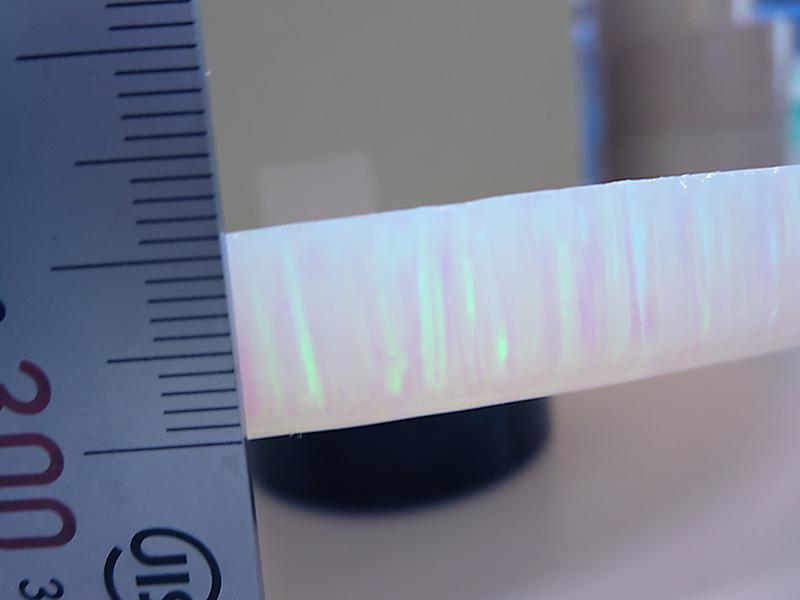 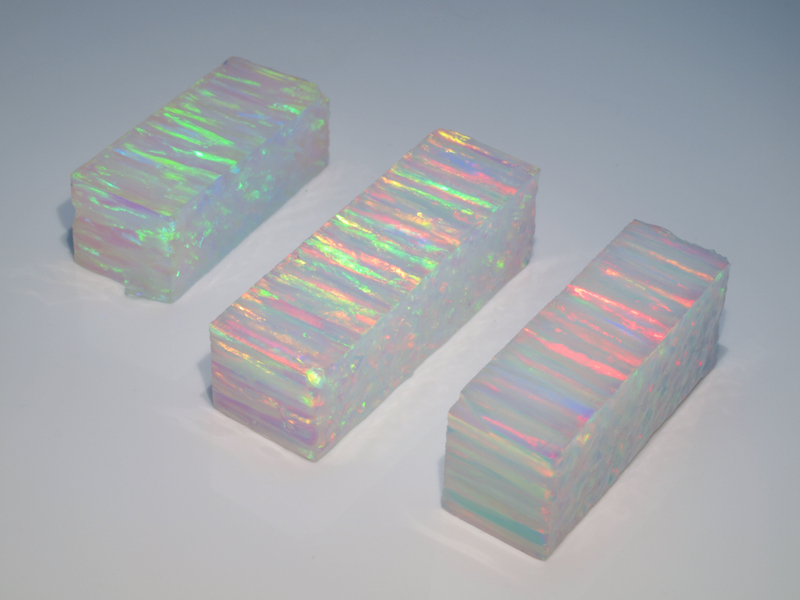 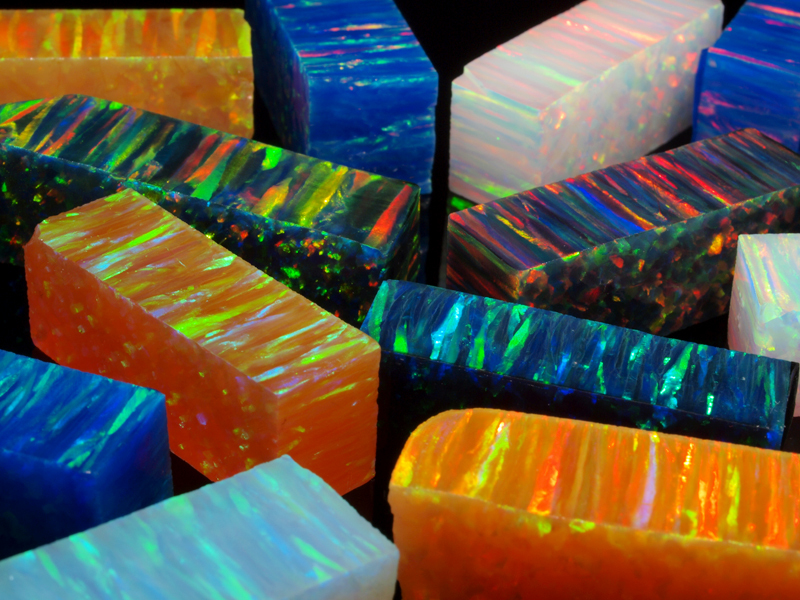 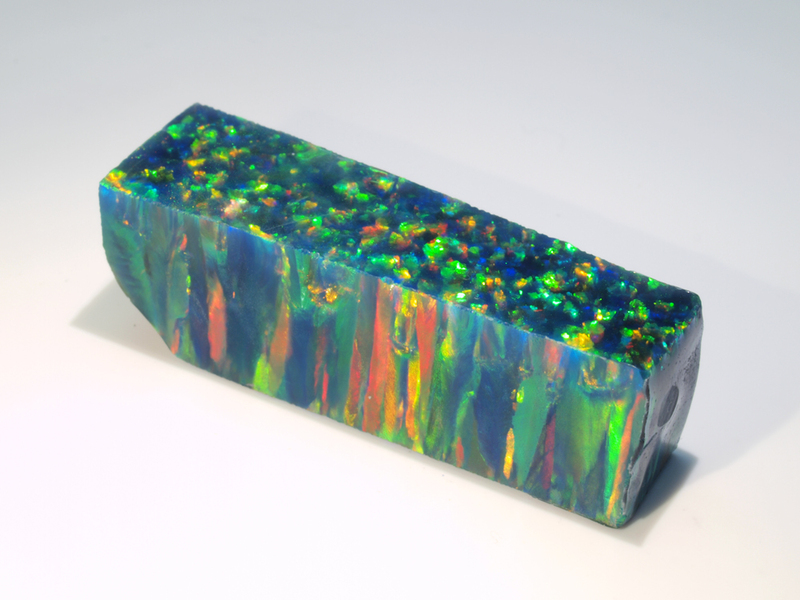 After controlled drying, a multicrystalline porous synthetic opal is obtained, which is comparable to natural occurring hydrophane opals. 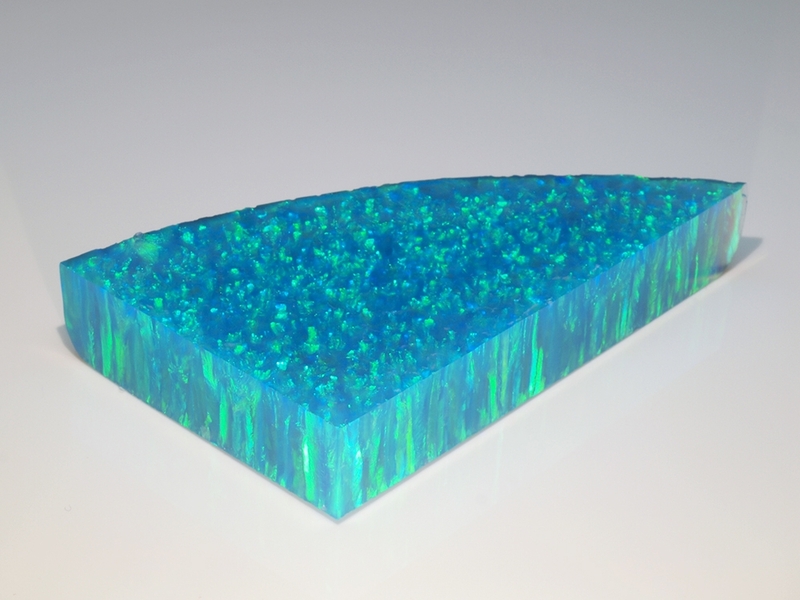 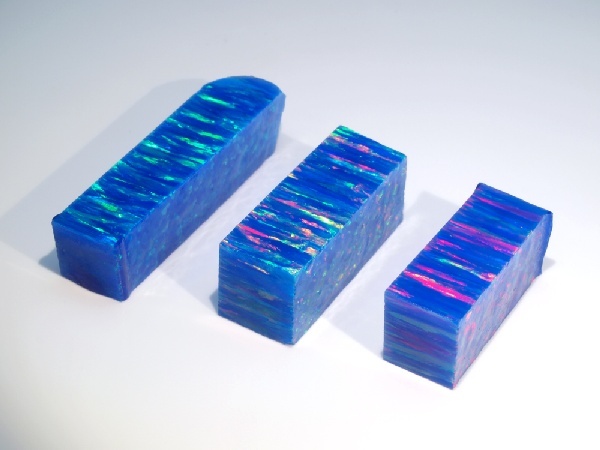 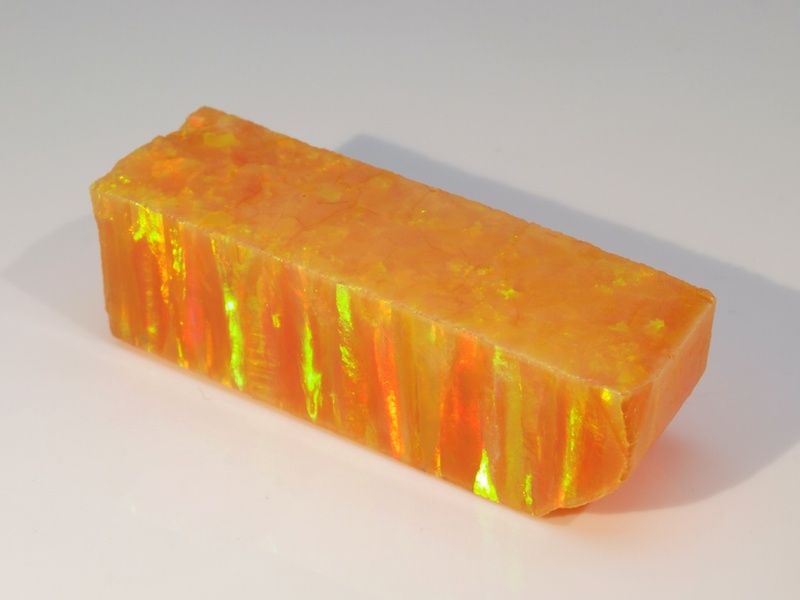 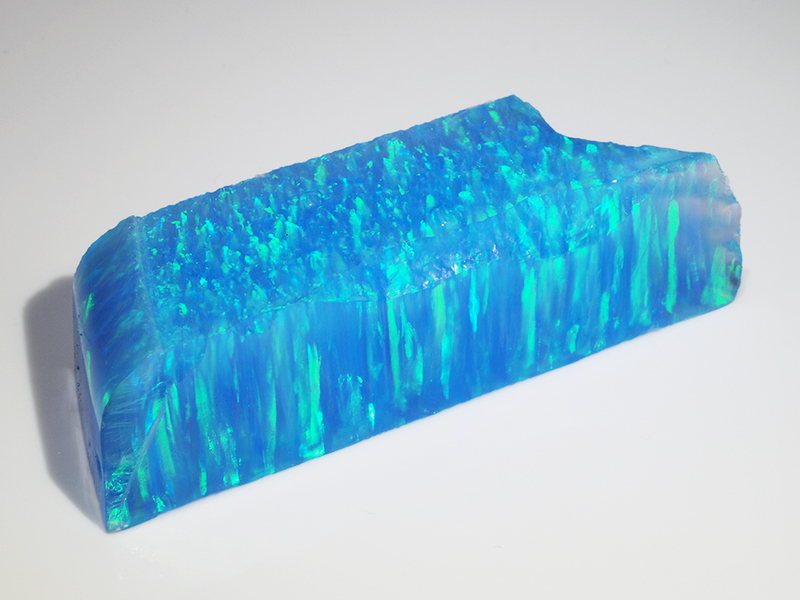 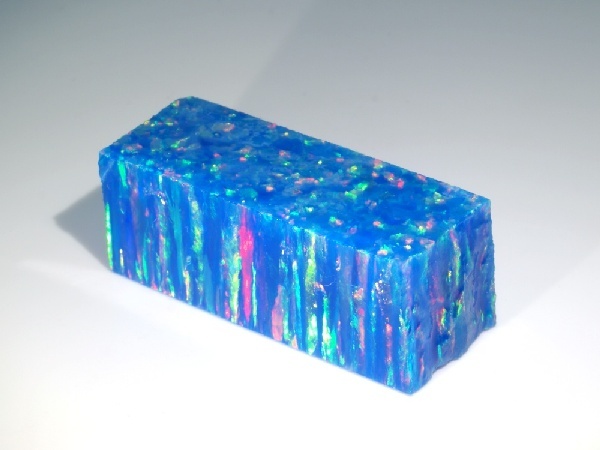 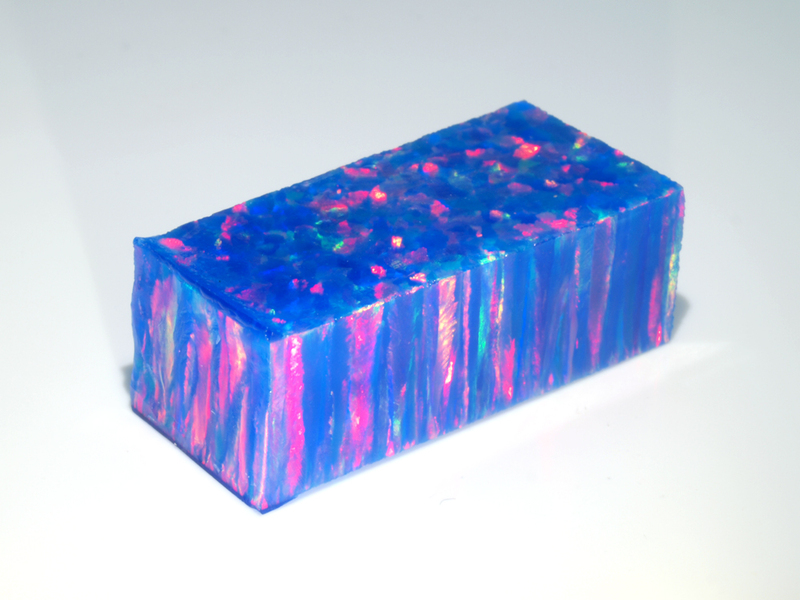 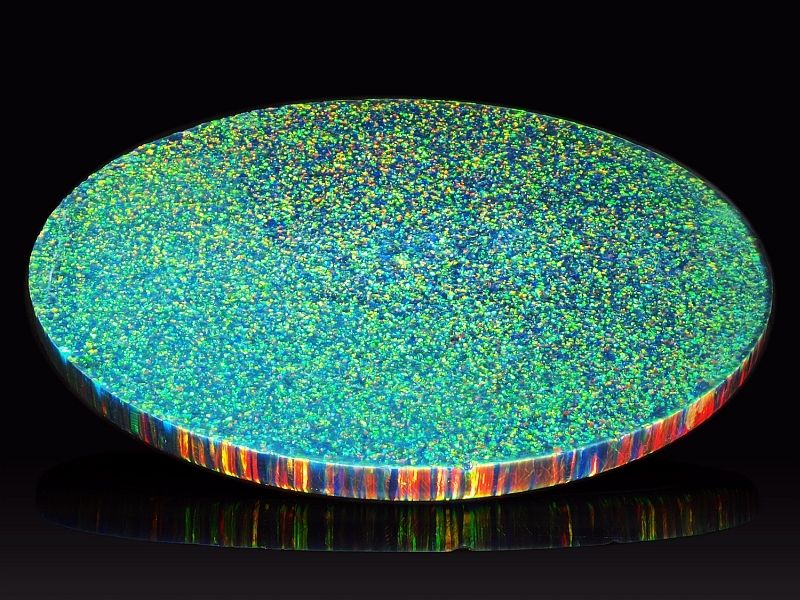 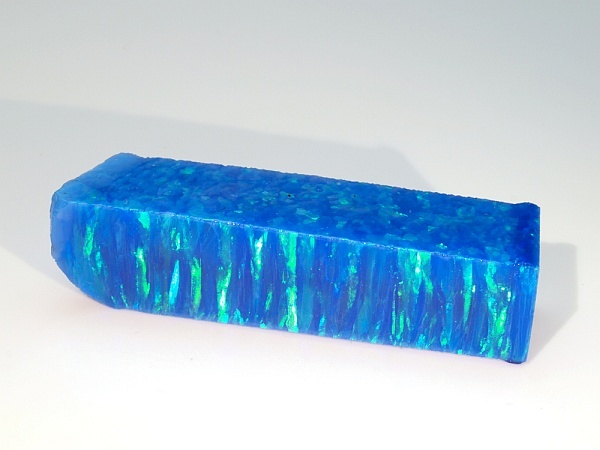 The porous synthetic opal is now impregnated with resin to achieve high toughness and strength. With carefully selected resins and monodisperse silica particles in certain sizes, we are now able to offer synthetic opals in high quality with different body colors and a play-of-color in red, orange or green. 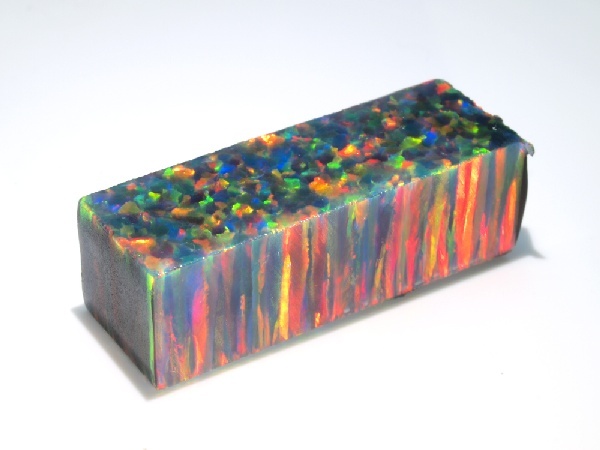 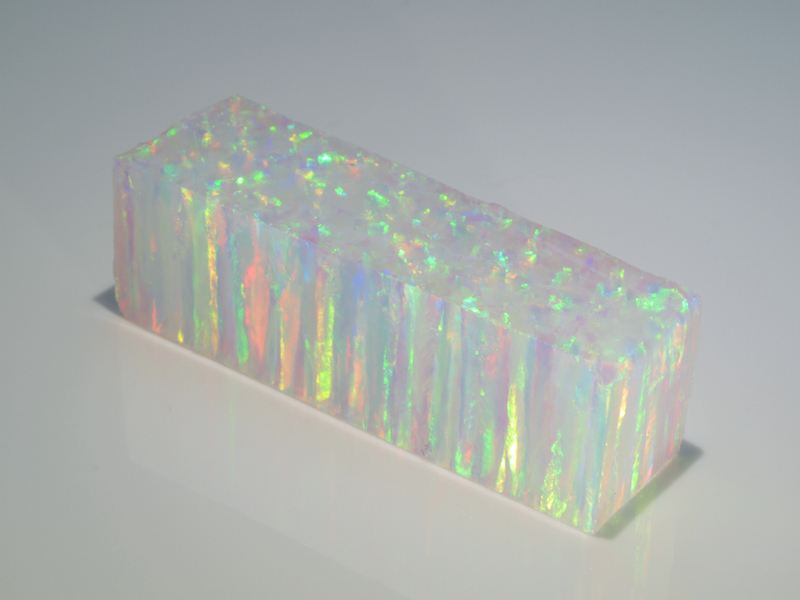 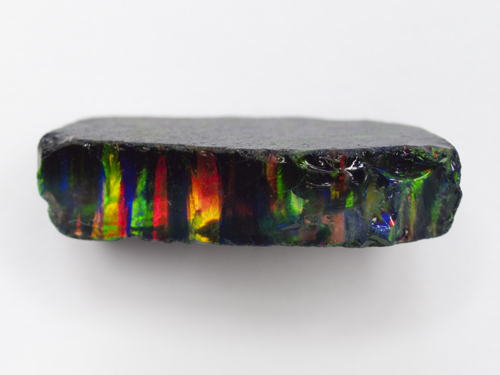 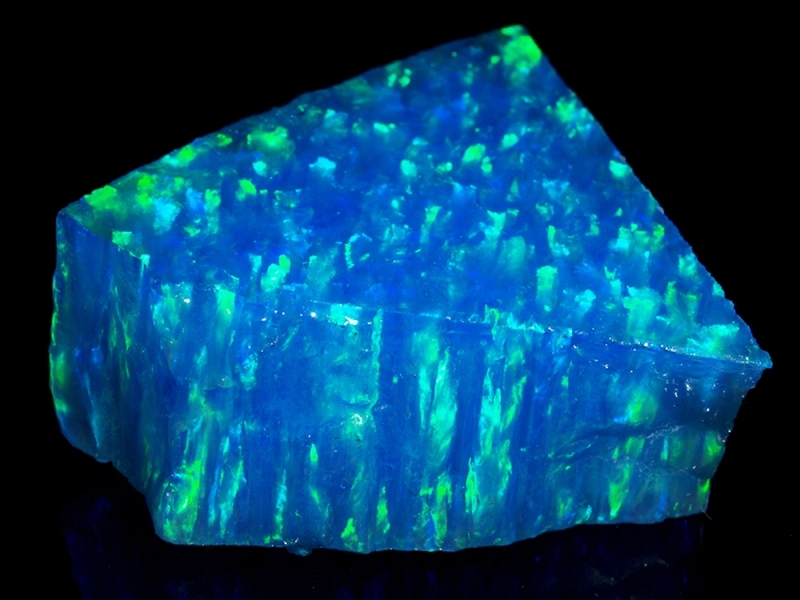 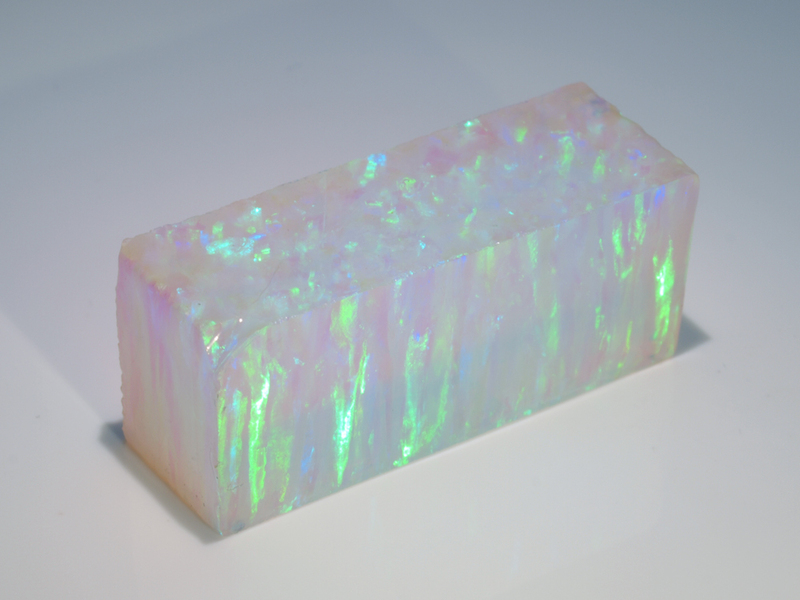 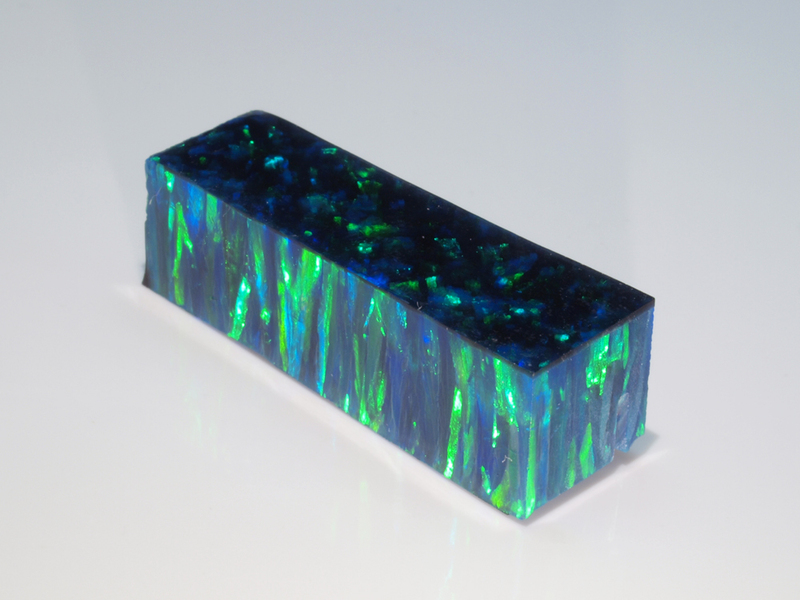 In contrast to natural opals synthetic opal does not contain water and cracking due to dehydration will not occur. 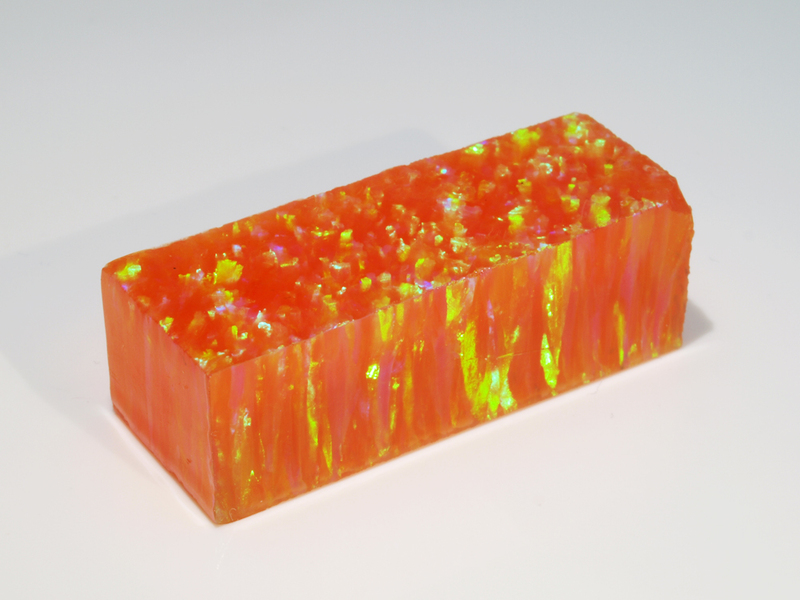 Even in the case that the synthetic opal is damaged or lost the opal can be replaced by a stone of the same shape, size, body color and fire. 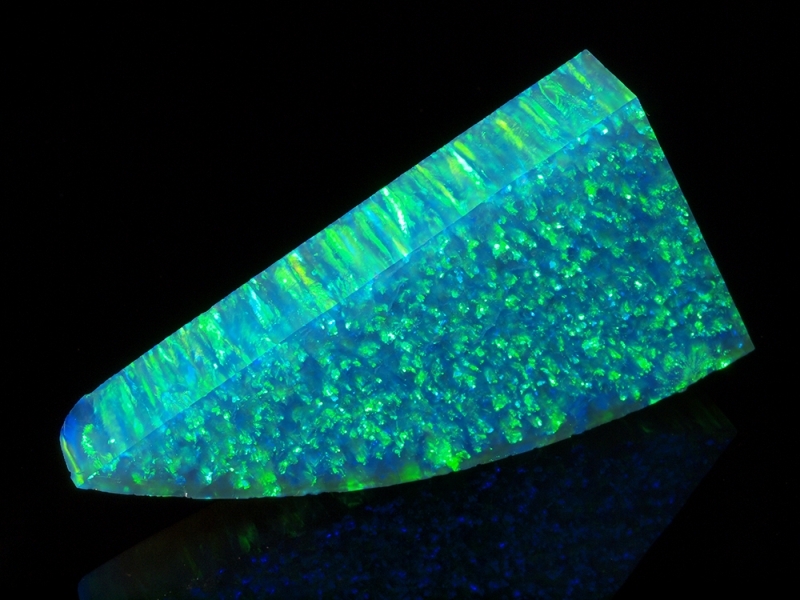 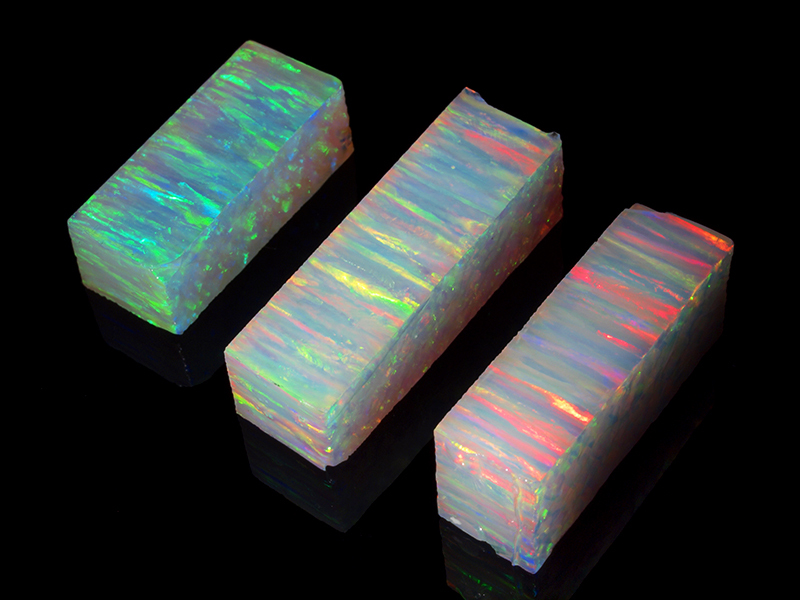 In contrast to natural opal synthetic opals can be cut and carved into different shapes of the same size. 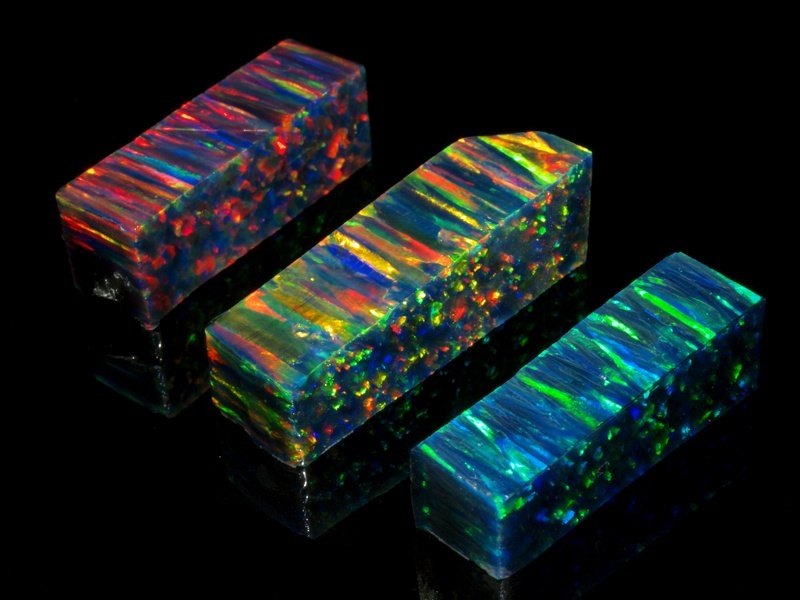 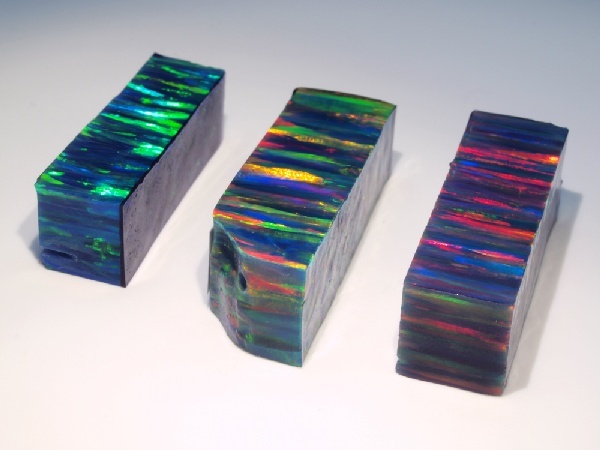 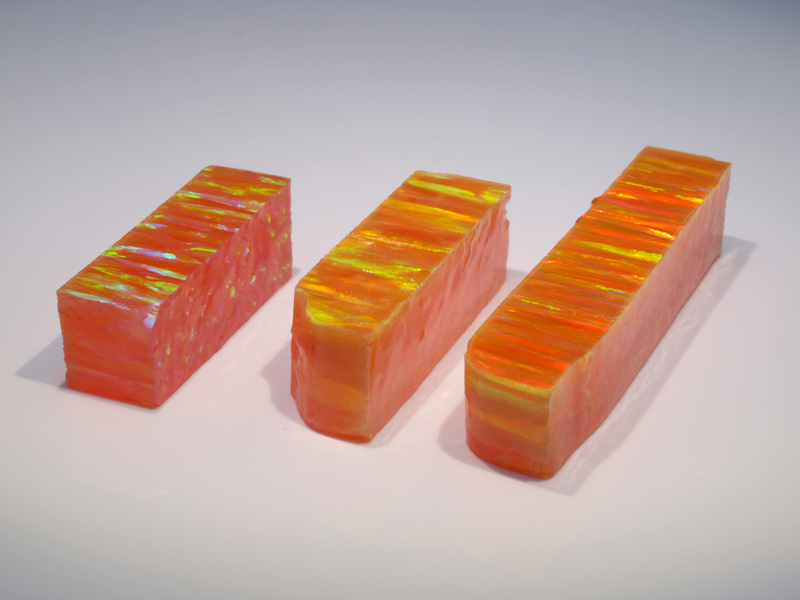 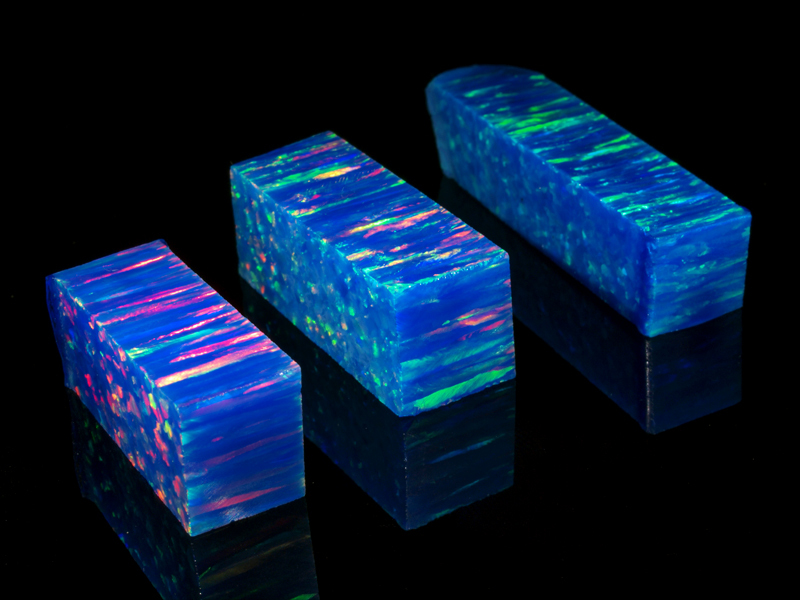 These impregnated synthetic opals show an intense play-of-color with a directional (columnar) pattern without any cracks, inclusions or host rock (matrix). The opals are composed of self-organized and close-packed monodisperse silica particles embedded in an organic polymer matrix and due to the lack of water in its chemical composition they are not prone to cracking or crazing. 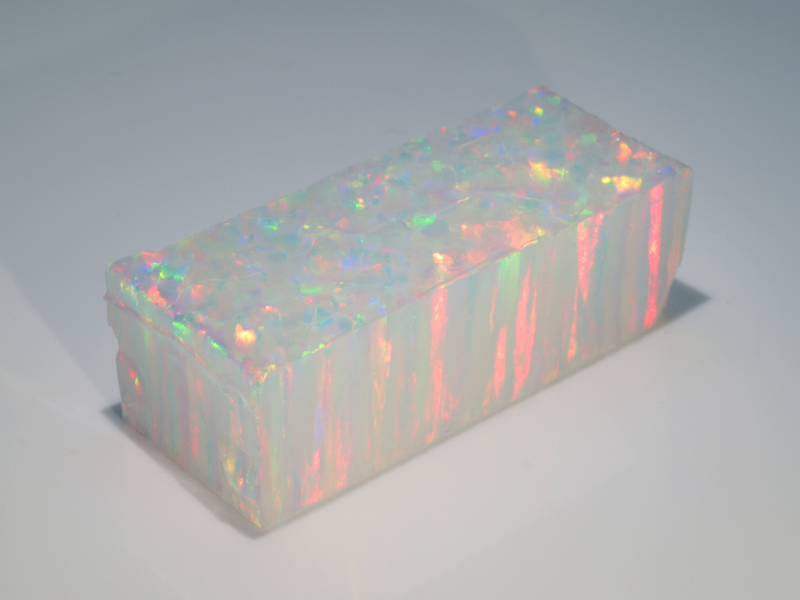 The impregnated opals are available with a multicolored pattern in a variety of colors, sizes and weights, ranging from 50 - 800 grams. 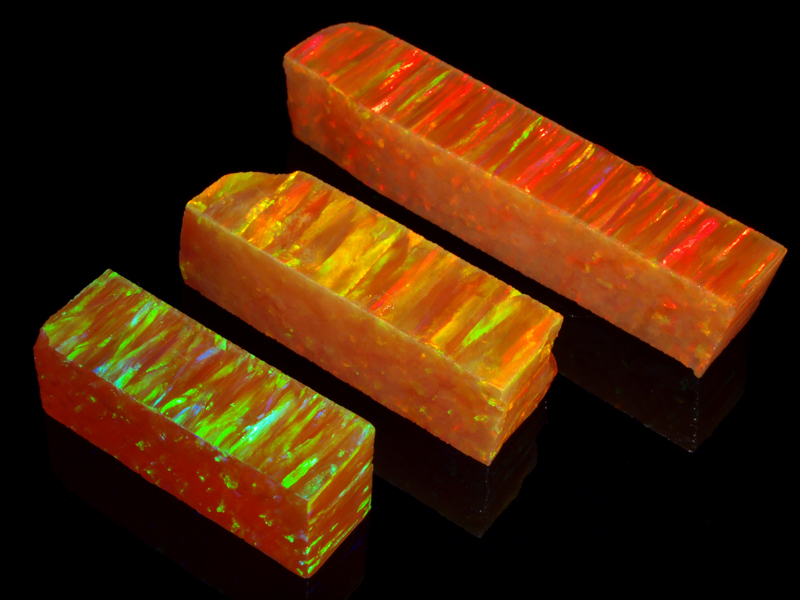 Synthetic Opals - Directional Play-of-Color.